If an organization or a company is planning to adopt Scrum, the expectations will be mainly centered around improved productivity, maintaining employee morale and churning out work well within timelines. To achieve clarity across workflows by virtue of Scrum isn’t easy. There are various nooks and corners to the framework which can only be holistically understood via certification. In the initial stages of transitioning to an agile workflow, people have limited ideas about the benefits of Scrum. The best way to enhance your understanding of Scrum and its principles, along with its overall implementation, is to have an authentic certification. Scrum certifications can be identified as one of the many courses where employees are trained to become self-motivated and self-reliant which in turn can be taken advantage of to perform and execute important responsibilities. The Scrum Master training in Noida is one such module where you can upscale your career and the organization you are part of. According to a survey run by Scrum Alliance, teams which were led by Certified Scrum Masters observed a high success rate in their projects. 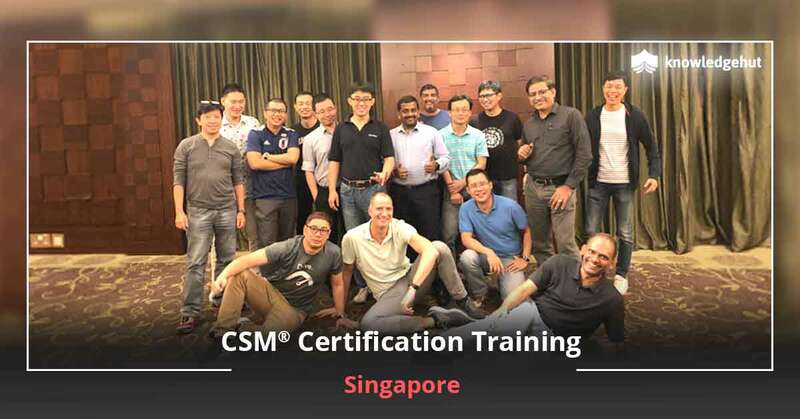 The CSM certification in Noida provides participants a holistic training to operate in an agile environment and coaches them to adapt quickly to changes. The Scrum framework, if operated correctly, can do away with distractions for the team and improve net productivity by leaps and bounds. Professional credibility- From the perspective of a functional manager, having a certified scrum professional in the team is quite helpful especially in new scrum teams. 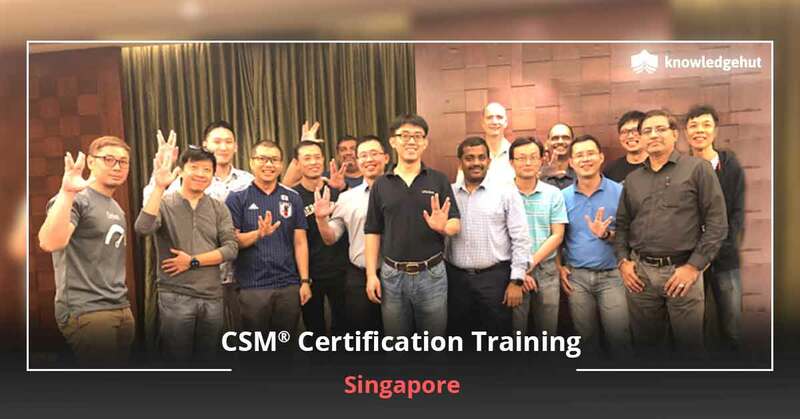 Proof of expertise- With the CSM certification training in Noida, become an expert as the certification shows the dedication you have towards your profession. Salary- Expect higher returns for your efforts as most Certified Scrum Masters make much more than their non-certified counterparts. Job search- Employers are always on the lookout for industry-fit talent as it would cut their costs to train such employees. Get the Scrum Certification in Noida to become the first choice of your potential employers. 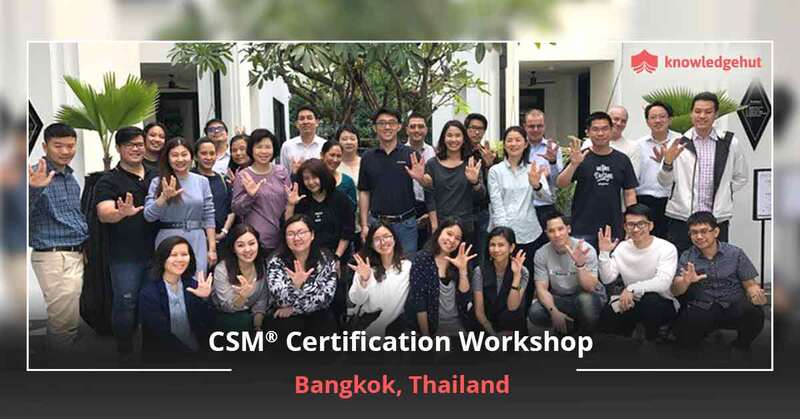 Professional growth- Harbor unique skills along with an Agile mindset and advance your career with CSM certification training held in Noida. Job essentials- The rate at which technology and businesses are changing, it is always an advantage to stay up-to-date with the latest industry trends and help your teams deliver high-quality products. Filling skills gaps- With the CSM training in Noida, you will be able to understand the skill gaps in teams across the board and come up with innovative and agile solutions thereby improving the capability of the entire organization. Increased engagement - The skills imparted via the Certified Scrum Master certification training in Noida will help you get involved in the key decision-making processes by increasing the value of your communication with those who are higher up in the ladder. Continuous improvement - This course enables you to drive yourself as well as your team members to actively involve in creating an atmosphere that cohorts continuous deployment through key motivators. A Certified ScrumMaster® is a designation offered by Scrum Alliance, a globally acknowledged certifying body for Scrum. A Scrum Master facilitates the Agile development team. Also, a Scrum Master manages the end-to-end processes involved in Agile project management. The popularity of the Scrum framework is rising day-by-day. A survey conducted by McKinsey in collaboration with the University of Oxford in around 5,400 companies showed that large IT projects run “45 percent over budget and 7 percent over time, while delivering 56 percent less value than predicted.” By earning a CSM certification you can learn the Scrum terminology, practices, and principles that will enable you to fulfill the role of a ScrumMaster or a Scrum team member, and create increased project success in all these parameters. There is no online/virtual course for CSM, as the Scrum Alliance believes that the Scrum understanding needs communication with the individuals attending the course which cannot be delivered in a virtual/online environment. With this membership, you can join local user groups, online social networks, gain access to deep discounts on gatherings, and additional member-only resources. Additionally, Certified ScrumMasters can make use of a specially designed logo to showcase their credentials. Will new job placement opportunities be available to me in Noida after ScrumMaster training? Increasing numbers of companies have started embracing Agile methodology, 15 years after its first beginnings in the software development space. Due to this Scrum Masters are in high demand and with the increase in demand, companies are hiring more Scrum Masters, offering plenty of job opportunities in organizations. The latest State of Scrum report says that nearly 85% of their recent survey respondents have taken up Scrum Master certification and a whopping 63% success rate of Scrum projects proves the claim. Fiserv- a US provider of financial services technology with a clientele comprising of banks, thrifts, credit unions, securities broker dealers, leasing & finance companies, and retailers. Oracle- an American multinational computer technology corporation which specializes in developing and marketing database software and technology, cloud engineered systems, and enterprise software products. Kronos- offers the industry’s most powerful suite of tools and services to manage and engage workforces, from pre-hire to retire. ISHIR- a global diversified outsourced IT services company which intends to bring Offshore Outsourcing to clients’ doorstep. Barclays- a British multinational investment bank and financial services company with four core businesses, namely, personal banking, corporate banking, wealth management, and investment management. Your next step after Certified ScrumMaster certification is to go for the Advanced Certified ScrumMaster (A-CSM℠) certification. The Certified ScrumMaster® course provides training that covers the fundamentals essential for Scrum team members or Scrum professionals. What are the prerequisites to attend the CSM certification training in Noida? There are no eligibility criteria before attending the course. But, Scrum Alliance’s course completion certificate makes you eligible for the online CSM Test. Who should take this Scrum Alliance CSM training course in Noida? If you are already executing Scrum in your organization, the CSM certification course will help you to enhance your skills in project development. Who are the instructors/trainers for your CSM certification training in Noida? Our devoted team of CSTs offers training which is on par with the standard of excellence set by the Scrum Alliance. As a consequence, each and every candidate is entitled to the same high-quality content without consideration of the trainer and location. They help you get equipped with the competency and skills you need to make a difference in your organisation. Where will the Certified Scrum Master workshop be held in Noida? FabHotel White Castle SEZ- Dadri Main Rd, Bhangel, Salarpur Khadar, Sector 102, Noida, Uttar Pradesh 201304. Radisson Noida- Kamal Marg, C Block, Sector 55, Noida, Uttar Pradesh 201307, India•+91 120 467 8888. No, CSM exam is not possible without undergoing CSM training. As the training from Scrum Alliance helps you in understanding the Scrum principles and practices that will help you in clearing the exam with a good score. No. Anyone who has attended a CSM course can join Scrum Alliance®. Certified membership is free for the first two years with current certification. Is your 2 days of training at Noida sufficient to clear the Scrum Master certification exam? If you are familiar with various resources available on the Scrum Alliance website, two-days of CSM training is enough to clear the Scrum Master certification exam. After attending the CSM course, Scrum Alliance will send an email that consists of a link to create your login credentials. After receiving this email, you can take your exam in 90 days. Our accomplished and qualified coaches impart high quality interactive training supplemented with concise, clear, and updated materials to help you in your CSM exam preparation. CSM exam is an open-book exam and easy to clear. Also, the interactive training session held during the training will help you to understand the basic to the advanced concepts of Scrum. The CSM exam is an online test comprising of 50 multiple choice questions (MCQs) and candidates will get 60 minutes to finish the exam. A candidate has to score 74% in the exam to pass the Scrum Master certification exam. Also, you can take the exam only after completing the course. How much does the Certified Scrum Master certification exam cost in Noida? Yes, you can retake the Scrum Master certification test and Scrum Alliance permits you to do this for free of cost if you take the test within 90 days for 2 attempts. It will charge a minimum of $25 once 90 days are over from the time you receive a welcome email. It is advisable that if you failed the exam thrice, you should take this course again. Scrum Alliance is the accreditation body of Certified ScrumMaster course and according to it, the exam fee is non-refundable. CSM is known as the first professional certification for Scrum Masters by Scrum Alliance. You will gain a strong understanding of the Scrum Framework, Scrum activities associated with the team members activities, and related roles. By getting this certification, you will be guiding the team to work together and perform at their highest level. 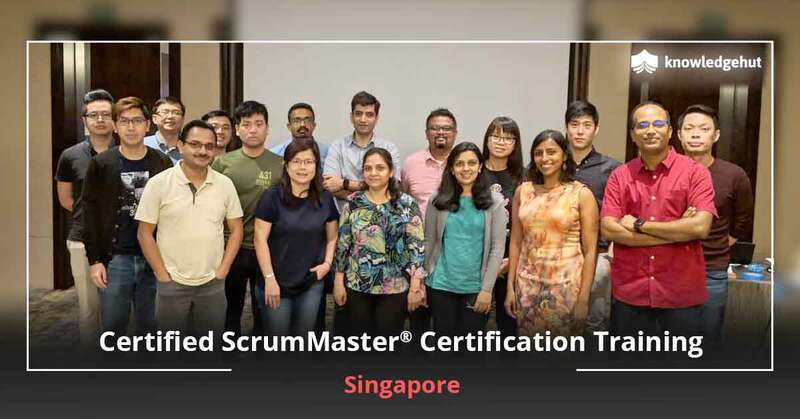 The Certified ScrumMaster (CSM) certification training provides a complete overview of the Scrum framework and will prepare you to become an effective Scrum Master. From this course, you will learn the basics of Scrum and the lifecycle, how to organize a Scrum team and set up a project. Scrum is the most widely used framework. Scrum is not only implemented in IT industries but also in other industries. Scrum is a leading Agile technology used by many companies around the world to tackle complex projects. Hence, the demand for certified Scrum Professionals has increased. As the usage of Scrum has increased all around the world, Scrum Masters are more sought-after in industries even beyond IT companies. If your organization is implementing Agile methodology, it is worth earning a CSM certification. Who offers the CSM certification in Noida? You will receive the CSM certification from Scrum Alliance, the CSM accreditation body designating you as a Certified ScrumMaster®. 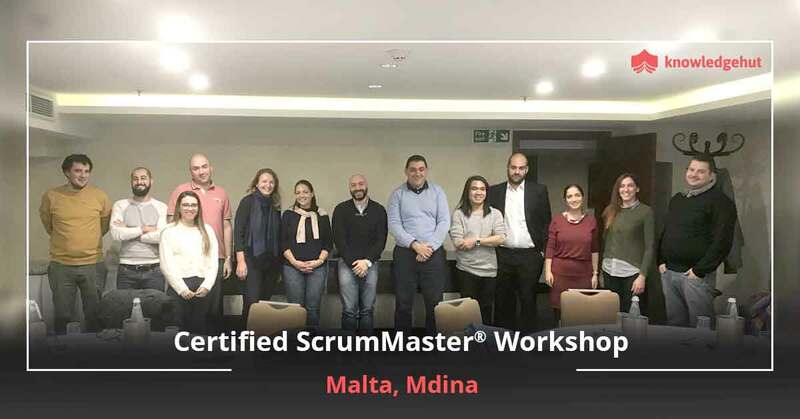 This will help the ScrumMasters to demonstrate their knowledge on the Scrum framework and increase your career opportunities across all industries adopting Agile and Scrum practices. What is the average salary of a Certified ScrumMaster® Professional in Noida? According to Glassdoor, Certified ScrumMaster is one of the 25 highest paying jobs. The salary report posted on Payscale revealed that the average pay of the Certified ScrumMaster in Noida is Rs 465,005. The salary of the Scrum Master varies according to their work-experience and the skills they acquire. 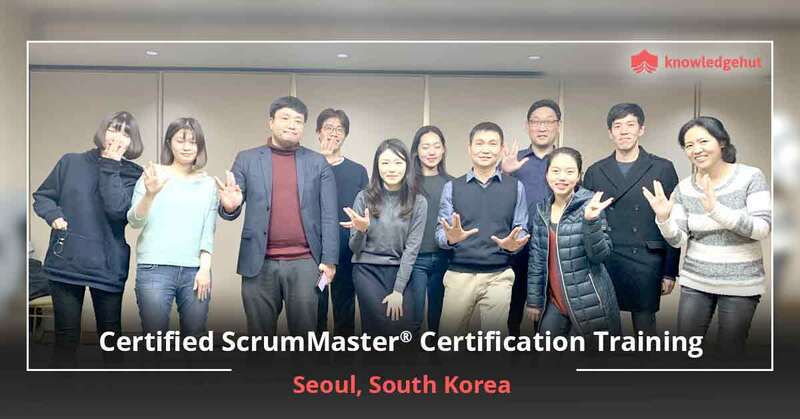 Being a Certified ScrumMaster, you can take on roles like Software Engineer, Product Manager, Project Manager, Team Leader, Business Analyst, Development team member, Testers etc. and the designations an individual can play in the organizations are Business Analyst, Lead Software, Engineer, Project Manager, Information Technology, Staff Scrum Master, Delivery Lead, Agile, Scrum Master, Technical Program Manager, Senior Project Manager, Agile Coach, QA Automation Engineer, Software Project Lead, etc. CSM certification renewal needs to be done every 2 years. For the certification renewal process, you need to pay $100 to extend the credential for a further period of 2 years from the date of your current expiration. In order to renew your ScrumMaster certification, log in to https://www.scrumalliance.org/login, go to your dashboard and choose the ‘Renew Certification’ option available under the heading ‘Actions’. Keep a note that starting from February 4, 2019, you will be required to earn 20 Scrum Educational Units (SEUs) within the past two years, in addition to the $100 renewal fee that has to be paid. To validate your participation and continued proficiency in the fundamental principles and practices of Scrum, this update has made necessary. You can earn the remaining SEUs by completing an educational training or learning opportunity. NOIDA stands for New Okhla Industrial Development Authority and is part of the National Capital Region (NCR) of India. It is a hub for many news channels such as CNN-IBN, CNBC, News X, India TV and also a hotspot for IT, ITES, BPO and KPO companies. Most of the IT and ITES organizations are always on the lookout for professionals adept at handling the Scrum framework. KnowledgeHut provides a wonderful opportunity to understand this framework via Certified Scrum Master Training in NOIDA. The growth and development of every IT and ITES organization depends on project development, which requires everyone in the company to work towards the same goal as a team. This attitude will help the project run smoothly and successfully. CSM Training in NOIDA by KnowledgeHut provides this opportunity to professionals looking to learn about the Scrum framework, which is useful in the development of the project. CSM certification cost in NOIDA is also quite fair compared to other alternatives. CSM classes in NOIDA are the perfect platform to learn about scrum framework. Fulfillment of team role and responsibilities while working with Scrum is something most companies look for. The framework helps professionals achieve goals in a rapid and ever changing business environment. Understanding of Scrum framework is essential to assess collective input and achieve goals, leading to more efficient working as well as the growth of the organization. The training is conducted by Scrum masters with years of experience. They will look to teach learners the tips and tricks to understand the Scrum framework and implement it successfully. The Certified Scrum Master course in NOIDA provided by KnowledgeHut is a great option for anyone who wants to increase their potential as a project manager and team leader. The understanding of framework through practical practices is also part and parcel of this course, leading to successful real time implementation.